Check out all of the Great Mother’s Day Gift sets and more all under $30!! Shop Mother’s Day Gifts now! 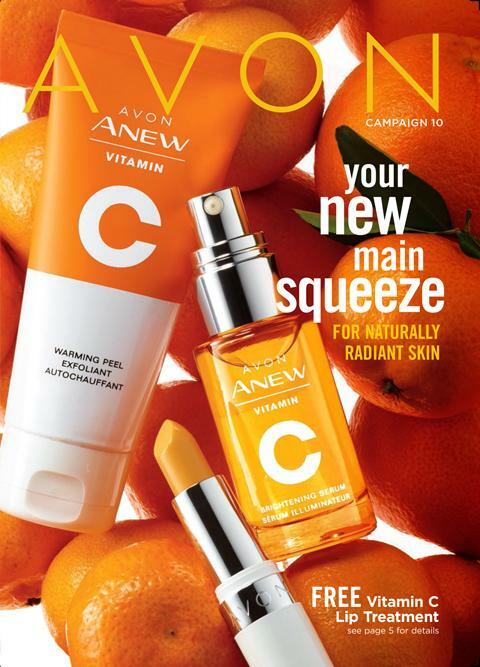 Avon Brochure 8 is available online! 50 Ways to get New Avon Customers! 50 WAYS TO GET NEW CUSTOMERS! Don’t get overwhelmed! pick a few things that will work for you and try it! you do not have to do all 50 things all at the same time!! 1. Set a goal to find at least 2 new customers every campaign. Use the “Power of 3” – Make 3 new contacts every day. 3. Comparison shop and be ready to give results to contacts. 4. Increase the number of brochures ordered by 10 every campaign. and make sure you give them all out! 5. Leave a brochure( or a few) at 1 or 2 new business every campaign. 6. Start a jewelry club – Especially for those who never buy make-up (then start putting make-up and skin samples with their orders). 7. Wear an Avon logo pin or shirt – It’s free advertisement to those who don’t know you are an Avon representation. 8. Have 1 product each campaign that is the campaign special – Hand out info and samples about it to every contact and offer a discount of 10% or 20% if they purchase it in that campaign. 9. Have a positive attitude – It sells. 10. Show pages from national magazines that feature news about Avon products. 11. Spray your brochures with fragrances. 12. Find helpers in businesses, churches, schools, etc. and reward them for taking orders for you. 14. Visit businesses with a basket of demos and make some deals!!!! 15. Pass our lumpy brochures out to businesses. 16. Stress the Avon unconditional 90 day guarantee. 18.to instant delivery on colognes and ask business owners if you can leave a full bottle on their counter. Offer a special price to their customers who would like to purchase the bottle and reward the business owner. 19. Advertise a “NEW CUSTOMER SALE” – Choose 2 or 3 products each campaign and offer a special discount to the “FIRST-TIME” customers. 20. Have an “OLD-TIMERS” special – Offer a special discount, a free product or a free trial size to any regular customer who gets you a new customer. 22. Have a “BUNNY SALE” for Easter – Offer 5% off every product that starts with the letter “B”. 23. Place business cards on every available bulletin board. Leave them on restaurant tables, in public restrooms(tape them on the back of the restroom stall), and tape them to public telephones. 25. Fill little baskets with samples and leave them in businesses with brochures. 26. Provide a business card holder and cards to any business owner who will allow you to place it in the counter. 27. Offer free gift wrapping for men customers. 29. Talk to every customer about fund-raising. 30. Leave cologne samples in beauty shops. Offer 1 free product to the owner for each 10 sold. 31. Have a home party!!! Offer an Avon gift certificate to the hostess. 32. Wear different Avon fragrances – when people ask which fragrance you are wearing – offer them a brochure, a business card and a sample. Get their contact info as well! 34. Take Skin-So-Soft samples to any place and organization where workers are subject to bugs. 35. Put a sign in your car window and/or your yard that you sall Avon. 36. post on local sites (if allowed) – Especially clearance sales, special discounts, or introduction of new products. 37. If you want bigger sales, talk to your Upline Mentor – She’s been there and done that. 38. Have a garage sale – Set out samples, brochures, and extra products. 39. Give each customer an extra brochure and ask them to give them to family and friends. 40. Give a brochure and sample to every person behind the check-out counter. 41. Put books in day care centers. 42. Send letters to employers and managers of local businesses offering special holiday services. 43. Have an open house of Avon products during holiday seasons and offer free gift wrapping. 44. 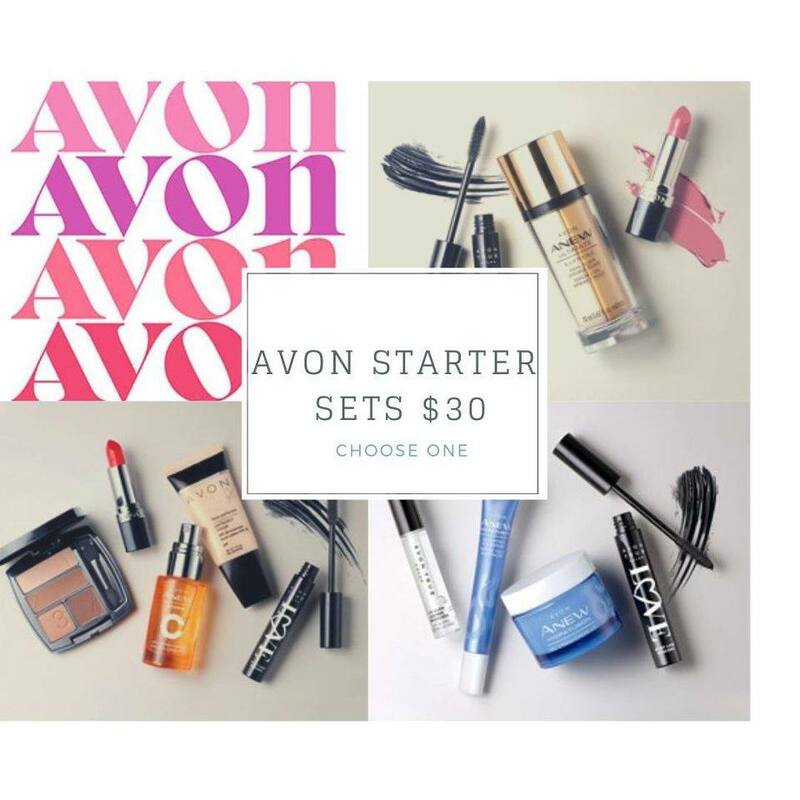 Offer an “AVON PARTY” at businesses during lunch hours. 45. Always carry a demo basket with you – Your customers will have friends visiting too. 46. Carry a “BARGAIN BASKET” – Purchase inexpensive products from outlet flyers and sell these to people who do not want to place an order. Also a good way to sell used “demos” or unwanted products that may accumulate. 47. Keep extra products on hand for people who may need a gift to give on the spur of the moment. Avon cookbooks make great wedding shower gifts. 49. Become an e-representative and get new customers on the internet. 50. Become an Avon Beauty expert via the free online training! Lets be Honest! I want to post pictures of all the AMAZING deals going on rite now! but i think you need to look through this brochure! Simply Put.. Best Sale EVER! this amazing little sampler can be yours! As i said place an order before February 28th 2018 and i’ll enter you in a drawing to win! Dream Team Top 10 in sales for Campaign 4 2018!! Top 10 in sales for Campaign 4!! Jessica Clark $428.00 ( HER 1st CAMPAIGN) Way to go! Great Job Ladies, as always im sooo proud of you all!! I am so blessed to work with all of you, I wouldn’t trade it for anything!! Its not about the numbers! its about finding your passion and helping others! One thing we all have in common is we LOVE helping other women look and feel better about themselves! I am very Proud of the Dream Team! We are going to see a lot of amazing things out of our ladies this year! TOP 10 FOR Campaign 3!! You ladies did great, its a January slump! all retail sales are slower and you all did amazing! I am so proud of all of you, not just my top 10. Add updated touches to your gingham style with floral embroidery and polished accessories. The A Box: Eye Love You Collection- Only $10 with your $40 purchase! See all our Spring Fashion!